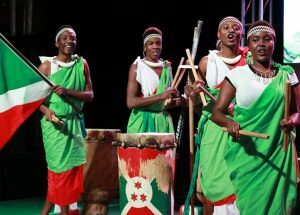 Aberdeen Pavilion has become a mini Epcot this year as Ottawa’s numerous embassies and high commissions showcase their culture, cuisine, and music as part of Ottawa Welcomes the World. Join in the festivities and discover some of the many countries that make up the heritage of Canadians. Venezuela, Rwanda, Mongolia, Tanzania, Egypt, Uruguay, Thailand, and Lithuania are on the agenda for July. Hands up if you remember your Canadian History? Yeah, didn’t think so. Fortunately the Canadian Museum of History’s Canadian History Hall will reopen on July 1 so you can stop by for a refresher. 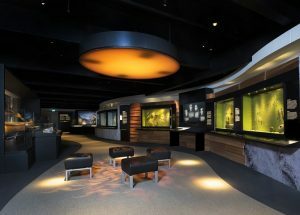 While the previous exhibit told the story of Canada beginning only with the arrival of the Vikings, thanks to a $30 million renovation the new exhibit spans the 15,000 years from the last ice age to the present. 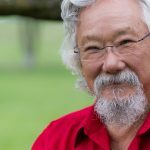 The exhibit will have three galleries: the first showing aboriginal culture up to the arrival of Europeans, the next covering colonial Canadian life, and finally a gallery on modern Canada. Each summer Ottawa’s most iconic landmark (that would be Parliament Hill) becomes the stage for Northern Lights, a spectacular sound and light show. If you’re visiting Ottawa between July 11 and September 16, you have to check it out. 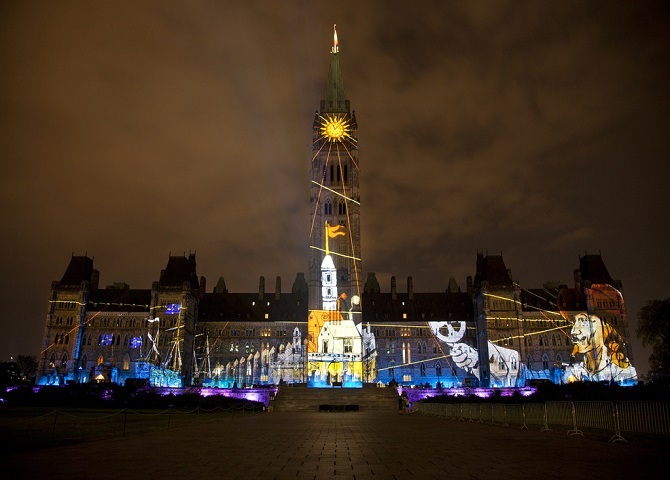 The free show is projected directly onto the Centre Block and the Peace Tower and this year’s edition tells the story of Canada in five “books” about nation building, alliances, innovation, military valor, and national pride. It’s a seriously cool show that might even be better than the Canada Day fireworks (and as a huge firework lover that’s saying a lot). No we’re not in Middle Earth, but thanks to the wizardry (see what I did there?) 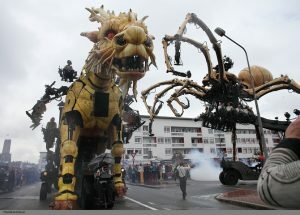 of French street theatre production company La Machine, a colossal mechanical dragon and spider will hit the streets of Ottawa this summer. From July 27 to 30, prepare to be amazed as these fantastic beasts face off, breathing fire and spraying water in front of landmarks around the city. This is their first (and possibly only) North American appearance so you won’t want to miss it! 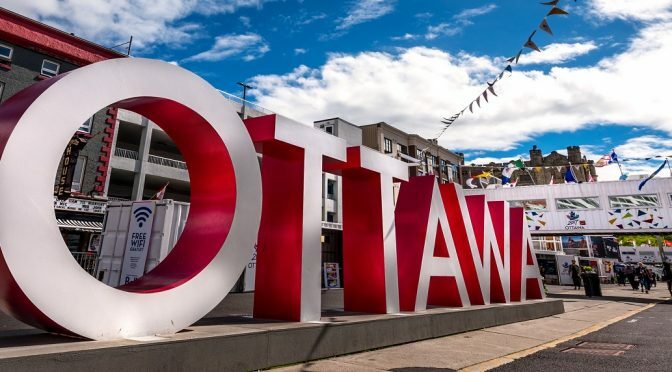 In Inspiration Village you can travel across the country without ever leaving downtown Ottawa! 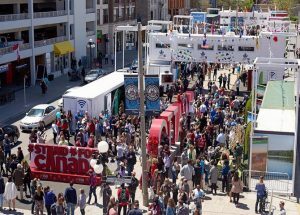 This innovative public exhibition space in the Byward Market is made up of 41 repurposed shipping containers showcasing each of Canada’s provinces and territories, as well as Parks Canada, the World Wildlife Fund, and local museums. 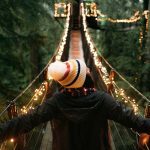 The exhibits are perfect for families with lots of interactive activities including photo booths, a sound studio, and a dress up station, all set to the live soundtrack of up and coming Canadian musical talent. 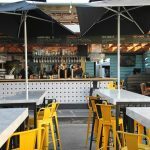 If you’re going to be in Ottawa for Canada Day, why not ditch the hotel and try urban camping instead? 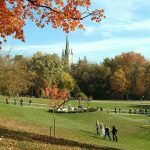 In anticipation of larger Canada Day crowd this year, Ottawa City Council is setting up urban camping sites for tents and RVs across the city. Most of the camp sites are close to city recreation centres, giving campers access to the pools, showers, washrooms and gym facilities. 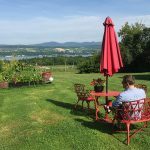 If you’re going to fully immerse yourself in Canada, living off of the land should definitely be part of the experience. To discover other Canada 150 events happening in Ottawa in July or throughout the year, visit the Ottawa 2017 website.